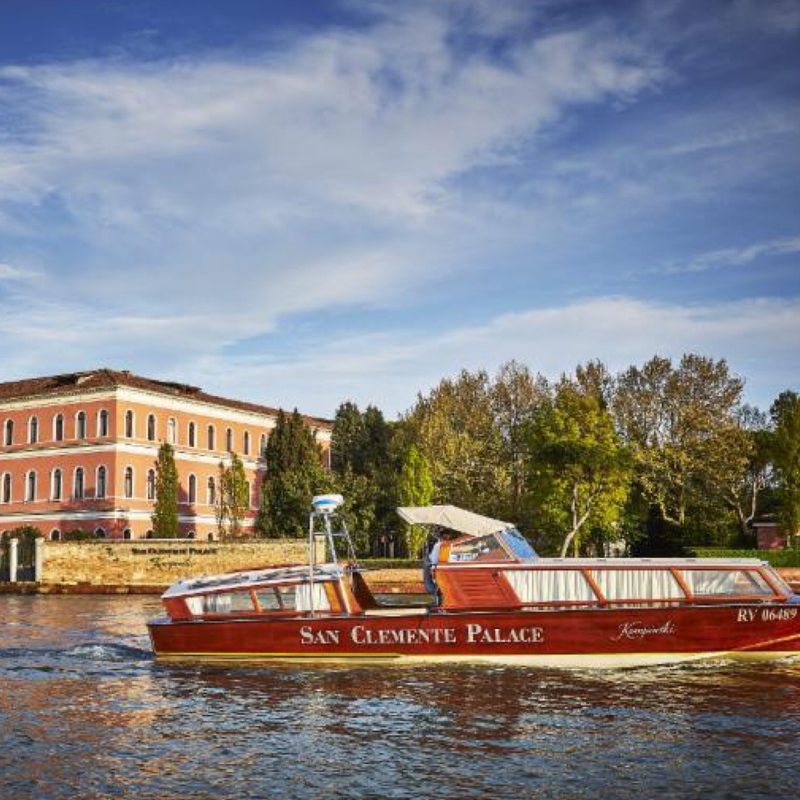 Posts tagged with "pairing menu"
San Clemente Palace Kempinski, the Venetian luxury resort uniquely located on its own private island eight minutes away from St. Mark’s Square, will open for its fourth season on March 20, 2019. Just minutes from the bustle of Venice and set among a centuries-old park, antique courtyards and monastery buildings, the 190-room resort has its own pitch & putt golf course, a tennis court, spa, heated outdoor pool and outdoor jogging trails, as well as a kids’ club for younger guests. Last year, the resort unveiled Al Bacaro, an outdoor lounge serving cichetti (Venetian tapas) and cocktails, overlooking the Venetian lagoon and skyline. Throughout the 2019 season, San Clemente Palace will offer a number of unique offerings for Easter, Spring Break, the Venice Biennale and beyond. During Easter weekend, the resort will offer a special “Kids Stay for Free” package, along with celebratory chocolate egg-decorating workshops and Easter Brunch for the whole family. To commemorate the 58th Venice Biennale, from May 11 through November 4, 2019, San Clemente Palace will also offer a special dedicated package, including exclusive tickets to the Biennale. San Clemente Palace is also poised to become a true foodie destination this year, as the resort will welcome four top Michelin-starred guest chefs to cook alongside Executive Chef Giorgio Schifferegger for a special event called “Cena a Quattro Mani” (“Four-Hands Dinner”). San Clemente Palace will also be home to a number of other special F&B events, including a Wine & Beer pairing menu with local craft beer and wine, and a pizza-tasting event welcoming Pizza World Champion Gianni Calaon. In honor of the resort’s opening, San Clemente Palace is offering a discount of up to 40% on all suites for stays between March 20 and April 30, 2019. This entry was posted in Travel + Food and tagged 360, 360 Magazine, 58th Venice Biennale, Al Bacaro, antique courtyards, beer, executive chef, food, foodie destination, Gianna Calaon, Global Society, golf course, hiking, hotel package, lagoon, monastery buildings, outdoor, pairing menu, park, pizza, pool, private island, Reid Urban, resort, San Clemente, San Clemente Palace, San Clemente Palace Kempinski, season, skyline, Spa, St. Mark's Square, tennis court, Vaughn Lowery, Venetian luxury, Venice, wine on February 7, 2019 by wp360mag.